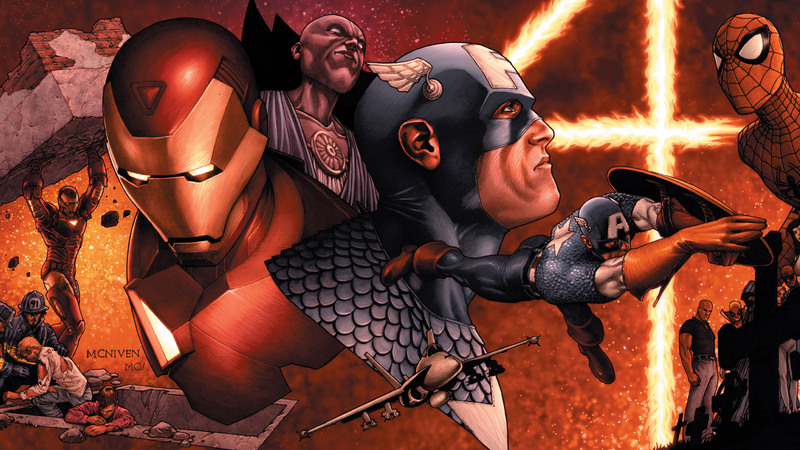 Steve Rogers has re-assembled Avengers' Unity Squad to fight a world gone mad and Deadpool is on the team. To unify the race of humans, Mutants and Inhumans towards a common goal of helping people, Commander Steve Rogers re-assembled Avengers Unity Division with Deadpool, Doctor Voodoo, Human Torch, Quicksilver, Rogue, Spider-Man and Synapse. Wade Wilson even had to leave his merc days behind to earn his place on team for now. Together they all were fighting a newly resurfaced Super-Adaptoid at Lincoln Memorial who absorbed Torch's power as Rogue lunges in. Synapse tries to locate a brain within it for her to attack but couldn't find any. So, she distracts it with pigeons and then Deadpool took him down by touching it and let copy his power, resulting it to die. While they sure saved the day, Spidey argues with Steve about Wade's reckless action and decides to quit the team if the latter stays. Rogers doesn't bat an eye about his complain and prepare the team for press conference. Johnny Storm goes to talk to Spidey about changing his mind, who suspects that Steve Rogers has been replaced by a Skrull. After wrapping up press, Cap gathers his remaining team for media and then they head back to their current headquarter at Schaefer Theater. Rogue tends to her Terrigen Mist poisoning, Doctor Voodoo was having a drink alone as Steve joins him. Eight months ago, construction worker Ivan Guerrero was already suffering from a lung cancer until the day he was engulfed by Terrigen Cloud, which changed him. He died in his bed and then reborn as an Inhuman from a cocoon, with plant-based powers. One of his grandchildren also undergone same sort of metamorphosis and became an Inhuman. While Quicksilver took a break for the day and was with Synapse at New York, they notice sudden environmental anomaly and she fell off her chair. They rushed to Boston, only to find it completely flooded with enormous plants and spores within an hour. Rest of the Unity Squad quickly arrives to help people trapped in the scene and from the infection of spores that releases dog-like creatures after a while. Rogers sent Wade in a chopper to drop Human Torch and Rogue to provide air support to Quicksilver, already dealing with enormous mutated creatures running around. Pietro was explaining where these things are coming from when the Merc with a Mouth joins with Emily and Jericho. On the other side of the city a Police officer discovers a person in shadows, who comes out introducing himself as the Shredded Man. Apparently he is the one responsible for this city-wide mess and he definitely does not come in peace. 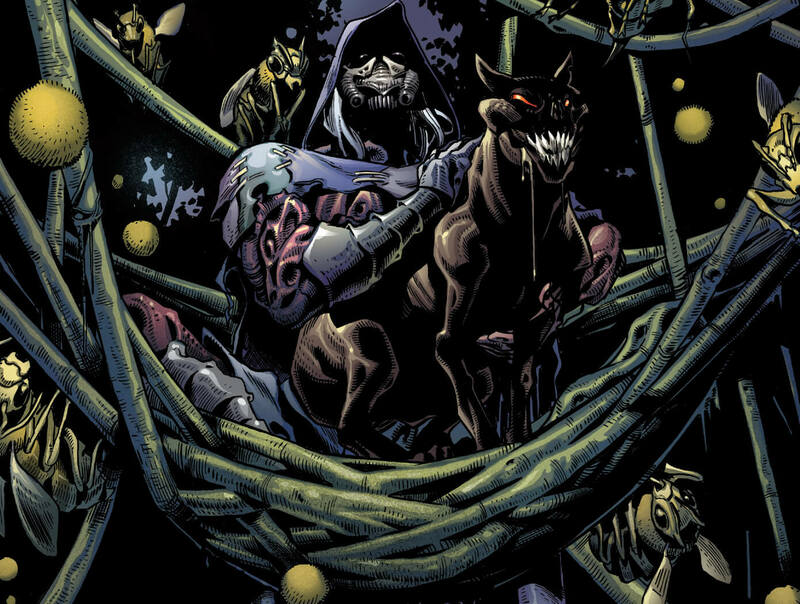 Johnny and Pietro were busy dealing with a group of mutated dogs while Jericho tries to stop the deadly plants from growing. Torch goes to seek help and Quicksilver unsuccessfully tries to engage the Shredded Man to fail miserably. After landing a punch on the villain, he is overpowered and encased inside a massive trunk to be consumed entirely. As all of Uncanny Avengers team members were desperately trying to stop him from unleashing a dystopian era, former X-Men and time-travelling mutant Cable arrives from future to help them save the present. Here is your links to buy "Uncanny Avengers – Lost Future" from Marvel Comics in issues on Amazon. 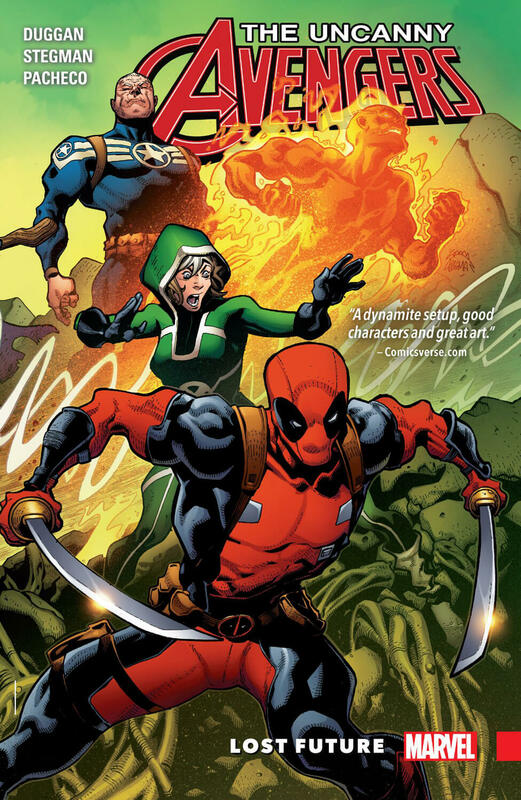 Here is your links to buy "Uncanny Avengers – Lost Future" from Marvel Comics on Amazon. Previously, this team of Uncanny Avengers has faced High Evolutionary on his Counter-Earth (Counter-Evolutionary) and Steve Rogers has returned once again with a brand-new team. "Lost Future" is a six-issue storyline that took place on third ongoing volume of Uncanny Avengers monthly series from Marvel Comics in 2016. 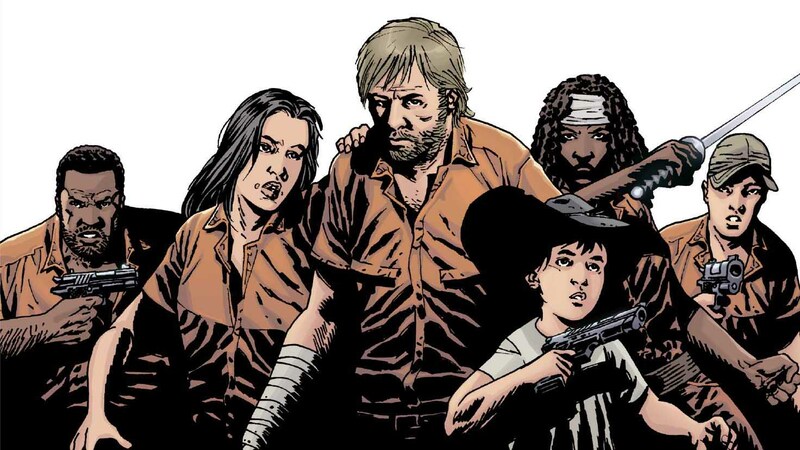 The story was plotted out by veteran comic-book writer Gerry Duggan (Arkham Manor, Hawkeye Vs. Deadpool), who was aided by artists Carlos Pacheco (Bishop, Fantastic Four) and Ryan Stegman (Scarlet Spider, Wolverine) for this project. 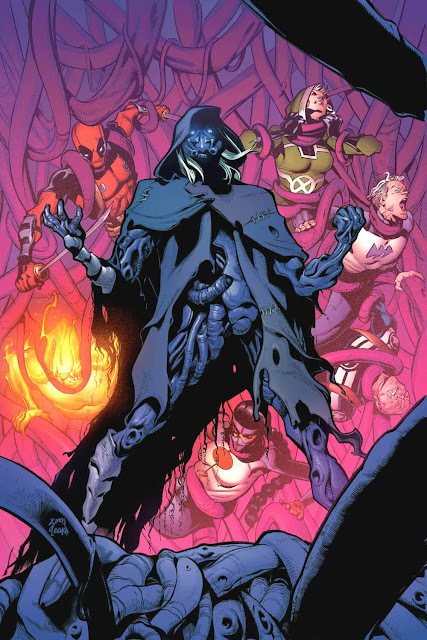 The first four issues are mainly focused on the newly introduced villainous character Shredded Man, who is a byproduct of the Terrigen Cloud, originated from the event when Inhuman King Black Bolt detonated a bomb containing Terrigen Mist to unleash a massive growth in their numbers during Thanos' invasion on Earth (Infinity). Then the Unity Division team of Avengers encounters a recently resurfaced Red Skull impersonating as X-Men member Gambit along with his daughter Sin. The story is then followed up by "The Man Who Fell to Earth", which also features the return of one of their deadliest foes as well as a founding member of The Avengers.